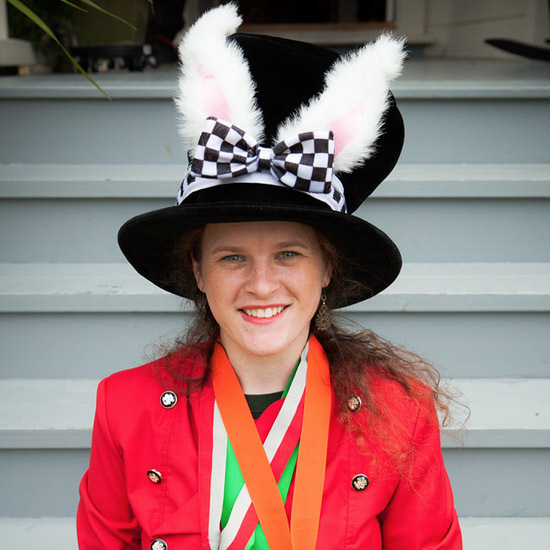 Diana Tarlson is the second highest ranked woman in combat robotics. Mastering the form of Bunny Combat, Diana’s robots— Dust Bunny— took the gold medal at the 2015 Robogames. Diana spends her spare time making costumes that she wears to conventions, and she’s great fun at Bot Bash Parties.